I am so excited to share with you about my newest book! Home Discipleship is about the discipleship process we find all throughout Scripture applied to the home. 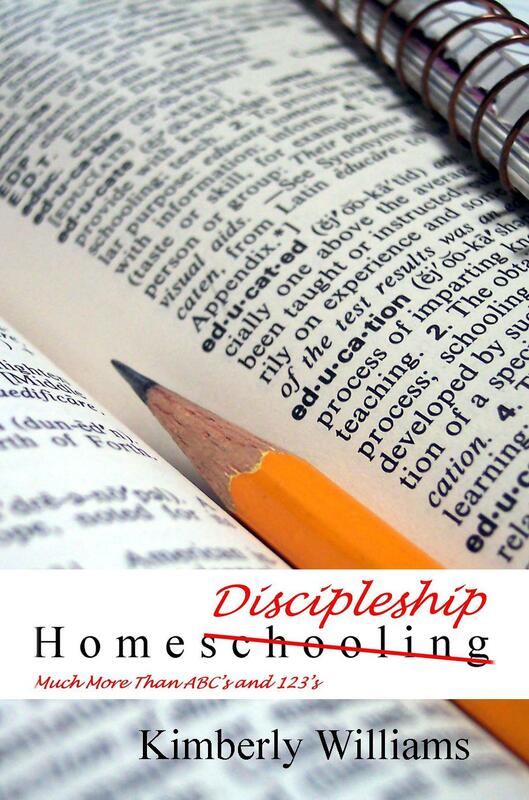 It covers the biblical mandate we have as parents, the structure of the Christian home, how to keep the proper perspective, fundamentals and practicalities of home discipleship, and addresses how a homeschooling lifestyle can help parents accomplish this very objective. If you are a homeschooler, have ever considered homeschooling, or know of someone who does you can use this coupon code 7G3P48KT to receive 25% off, making the total cost per book under $9. Offer available through August! Click here see what people are saying. Click here to read a chapter overview.